In the past few years the need for data security has continued to grow in importance. There are now too many to count stories of data breaches that have ended up costing companies millions, even billions in revenue and lost reputation and even a few cases of companies being forced to file for bankruptcy following a data breach. As a financial or retail contact center your agents have access to tons of data, proprietary data about your products/services and personal/financial data on your clients/customers. 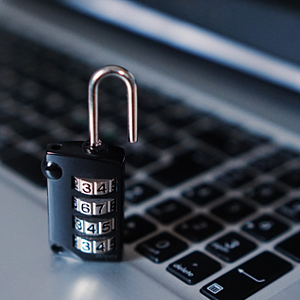 Your customers trust you with their data, and with their financial information, they expect you to protect it and keep it out of the hands of thieves, it is therefore vital that the knowledge base you choose to use for your contact center have security as a top priority. When choosing the right knowledge base for your needs there are many things you should consider, what features does the knowledge base need to have (knowledge tree creation, advanced reporting, e-learning functionality…). You should also ask yourself if the knowledge base should be a professional, stand alone tool or can you use a knowledge base that is part of another software suite… But the most important question you should be asking yourself is, will this knowledge base protect my data, and the personal data of my customers. At Unymira we make your security our priority. We have over 20 years of experience setting up knowledge bases for multinational companies; we have worked with some of the world’s biggest banks and insurance companies as well as with the customer service departments of retail stores and major automobile brands. With each new client we take every precaution to make sure that the data in the knowledge base is fully encrypted and protected. We are serious about protecting your data as well as the personal account information of your clients; Knowledge Center adheres to the highest encryption standards and we are constantly working to make your data more secure.